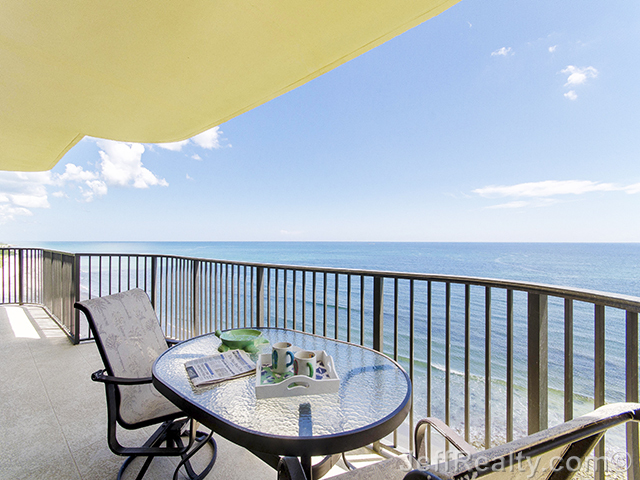 This spectacular, Jupiter Island oceanfront condo at 400 Beach Road #702 in Tequesta Towers has been completely remodeled and offers breathtaking unobstructed views of the Atlantic Ocean and the Intracoastal Waterway. The great room has been beautifully updated with crown molding and is extremely wide with direct ocean views. Astonishingly remodeled kitchen offers granite countertops, marble backsplash, and stained wood cabinetry with pullout and loads of counter space. The kitchen features coffered ceilings, recessed lighting, high-end wood laminate flooring, and an open pass-thru to the dining area. All appliances are stainless steel. You will feel as if you are dining on board a cruise ship when you sit in the dining area, which boasts designer lighting and wide, direct ocean views. The gorgeous ocean views from the spacious master suite will make you feel as if you are on vacation every day. Large sliders lead onto the spacious patio where you also have a rare view of the Preserve. This master bathroom has been incredibly remodeled with wood cabinetry, marble floors, granite countertops, and all new fixtures. With two oceanfront master suites, any guest will feel like a VIP. The second bathroom has also been generously renovated with wood cabinetry, designer lighting, granite countertops, and new fixtures. Relax with your morning coffee on the large patio as you watch the sunrise or sit on the porch in the evening to watch it set. Every room in this fabulous unit is open & bright and offers priceless views. Extremely well-maintained building with an infinity pool, pool house, kitchen, meeting room, and fitness facility. Balconies were refurbished in 2010 and elevators in 2013. HOA has a very healthy reserve. Noteworthy: 2012 water heater, solid core doors, all new fans & lighting, dimmers, impact windows (front of unit), underground parking, and storage. 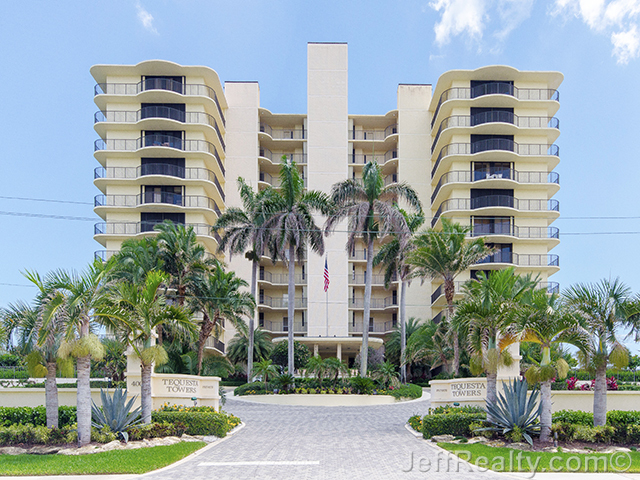 Posted in Jupiter Island, Jupiter Island condos, Tequesta Condos on August 20, 2014 at 7:18 am.